Be the first to share your favorite memory, photo or story of Ira. This memorial page is dedicated for family, friends and future generations to celebrate the life of their loved one. 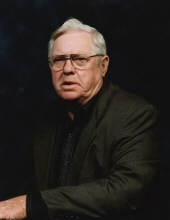 Ira Lee Hall, age 91, died Wednesday, January 23, 2019 with family by his side. Ira worked as a heavy equipment operator all his life in road construction, attended Wheeler Hill Church of Christ, enjoyed traveling and his vegetable garden. Preceding him in death was his parents, Emmitt Franklin and Velva Givens Hall; first wife, E. Marie Slawson Hall; second wife, Mary Ann Bickford Hall; sisters, Patricia, Joy, Marie, Janice, and Hazel; grandson, Samuel Hall. Survivors include his wife, Mary Ann Dyer; daughter, Vicki Ann (Jerry) Hickey, Kansas; sons, Stephen (Patti) Hall, Terry M. Hall; step-son, Nathaniel Simmons; brothers, Ricky Hall, Jimmy Hall; sister, Jane (Dennis) Barron; grandchildren, Shannah, Amy, Gerald III, Daniel, Terri Jane; seven great-grandchildren; several nieces, nephews, cousins, and a host of friends. A Memorial Service will be held 2:30 pm CST Saturday, January 26, 2019 at Pikeville Funeral with visitation from 1:00 pm until service time. "Email Address" would like to share the life celebration of Ira Lee Hall. Click on the "link" to go to share a favorite memory or leave a condolence message for the family.